Now for someone who is permanently connected to his devices and the internet how was he going to cope with a 5 week holiday in Spain? Well this is a story of how I ‘survived’, what devices I used and which apps I downloaded. Radio – Pure One Classic (DAB & FM) Radio. Of course the DAB didn’t work in Spain but the aux input was great for playing music and internet radio from my smartphone. One of the main areas of concern when camping or caravanning is what’s the weather going to be like. I found two services that helped enormously. Second was a seven day weather forecast for each campsite with a max and min temp graph on Eurocampings.co.uk . They have a mobile app (see below) which I did use but it doesn’t show the weather. Moneycorp card a Visa Debit prepaid card with multiple wallets for different currencies. This was great especially for drawing cash in euros as there were no charges for drawing cash in local currency. The exchange rate is fixed at the rate when you load the card. You continually load card whilst away. My bank has an Android app so I could check my account balance frequently. Andromoney on my phone to keep track of & categorise my cash expenditure and used Microsoft Money on the laptop for card transactions. Vodafone has an android app which allowed me to see how much I was spending on mobile internet. The app I used the most was Archie’s Campings. It is a great list of Points Of Interest throughout Europe. It indicates if a site is an ACSI and/or Camping Cheque site, and you can filter by ACSI/Camping Cheque only sites. It also links to Google search for each site to find reviews of the site. You can add directions to the campsite using Google Maps or as in my case straight into my satnav Copilot. Google earth was great for viewing the local area and site and Street view for close up of area. For my own benefit I kept a daily log of our activities using Diaro on my phone/ tablet/ PC. This was wonderfully clean and simple to use. I frequently check(ed)in at places we visited using Foursquare and of course all my photos taken with my Nexus 4 were geolocated. I was also running Moves on my Nexus. This ran silently in the background keeping a tally of everywhere I had been and whether I was walking, in the car or other transport. For security my family were able to track my every move, whether I was connected to the internet or not, using an app on my phone called GPS Tracking Pro. This provided real time location updates using GPS Technology. I used a mixture of Vodafone mobile data and wifi. Mostly mobile data was switched off on my phone unless I needed it to check in somwhere (couldn’t resist most of the time). All the sites we stayed at had wifi. I used this a lot especially if it was free. However the speed could sometimes be lamentable and mostly they were not secure. I therefore use Virtual Private Network (VPN) app called Hotspot Shield . This I used successfully on my laptop, tablet and smartphone. Getting from one campsite to the next was a doddle using a combination of Archies POI (see Site Finder section above) and my satnav CoPilot. I used Archies to find the campsite which then sent the location to CoPilot for me it to work out a route. Of course Google maps was very helpful on PC, tablet and phone for planning but I found we were use the ViaMichelin maps a lot as they had a route planning option for caravans, good terrestial maps and tourist info on their maps. I use my Fitbit in conjunction with MyFitnessPal which I use to record calories consumed and thus the balance of calories consumed less the calories burned. Our main concern was getting the daily news and the weather (see above). Radio: We could keep up to date with the BBC UK and World News via their android app and by using another app TuneIn Radio which I find easier than the BBC iPlayer for Radio. Podcasts : Used BeyondPod to download my favourite podcasts when connected to WiFi and then play offline. TV : TV was always going to be difficult unless you wanted to watch local TV. However if the wifi signal was strong enough and you were running HotspotShield to disguise your location it was possible to use BBC iPlayer to stream or even download a programme. However there were very few sites that had good enough wifi or unchoked wifi to achieve this. 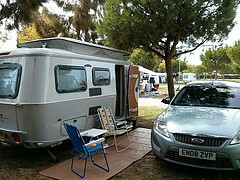 I hope that has given you an idea of how to survive as a social media and gadget geek when caravanning. So I have finally succumbed. I am now quantifying myself. I decided to start with measuring my fitness, weight and blood pressure as I wanted to lose weight and my blood pressure is bit too high. To help with losing weight I needed to measure the calories I was consuming against the calories I was burning. I chose MyFitnessPal to keep a record of the food I was consuming (and hence calories I was consuming) as it had a really excellent database of UK foods and would interoperate with Fitbit.com. Thus I could see the calories burned compared with the calories consumed in both Fitbit and MyFitnessPal. Fitbit does have this facility to record foods consumed but it is based on a US database of foods. 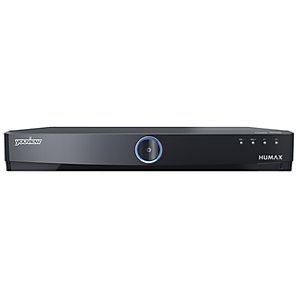 Could I have chosen better connected devices? Well yes! For a start I could have bought a Fitbit Aria bathroom scales and auto fed my weight to Fitbit.com over wifi. An example of a more comprehensive connected set up would be the NFC enabled devices from A&D. With an NFC enabled mobile phone you can just touch your device with your phone and transfer all the data to Microsoft HealthVault. 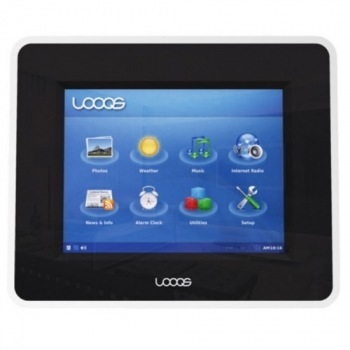 A&D have NFC enabled Activity Monitor, Bathroom Scales and Blood pressure Monitor. 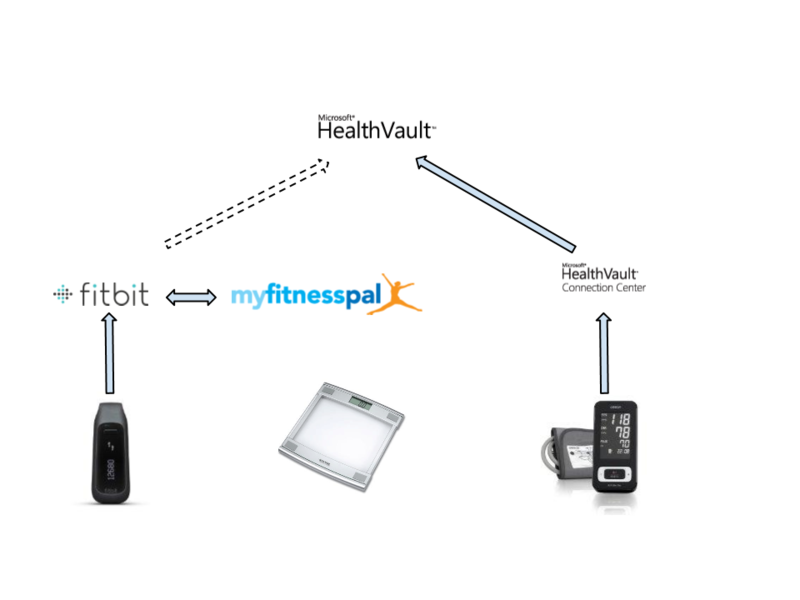 Microsoft have a good HealthVault Blog item ‘Making Self Monitoring Easier’ about this interconnected system. Could I have done all this – lose weight, lower my blood pressure and get fitter without any of these devices? But of course – but it wouldn’t have been anywhere near as much fun. There is nothing more motivating than seeing all those readouts. Now I can compare the performance of my solar PV panel array with other installations. I have been recording the output from my solar PV panels monthly since they were installed back in July 2010. I wrote a blog item about my solar PV rig and published my performance chart on Google. But I have never been able to compare my charts with anybody else’s chart. Now a new service has arisen OnYourRoof which lets me do just that. All I need do is enter my meter readings and voila I have a chart comparing my panel performance with other similar panels in the area. To see my chart compared with others visit my Page at OnYourRoof.com and then click on any of the panel details. Author martinrstonePosted on 10/12/2012 10/12/2012 Categories SustainTags PV, SolarLeave a comment on Compare my Solar PV panel performance? I knew as soon as I decided not to wait for YouView or GoogleTV that there would be an announcement and sure enough TalkTalk announced that YouView would be ready about September which incidentally is about when GoogleTV is expected in the UK according to the Telegraph. So if I am not going to wait which box should I go for. There are so many to choose from. There’s the Roku , the Boxee, Apple TV, WD TV Live to name but a few. A lot depends on whichInternet services (channels) you want access to, remembering that the channels in the UK differ from those in the US. In the end I went for the new SONY network media and internet streamer the SMP-N200 which was only recently released and only £80 at Amazon. So if I was to ditch my laptop mashup what was I wanting from my box? Well it would be nice just to have a small box that is always in situ ready to roll and was a lot less expensive than a laptop or nettop. All I really needed was a half decent movie service. 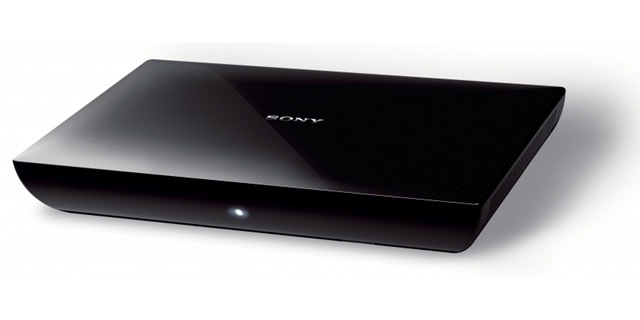 With the Sony I could get LoveFilm Instant for £4.99 a month and Sony Entertainment Network for PAYG movies. Oh and any CatchUp TV services I could get. The Sony gives me access to BBC iPlayer and Demand 5 & the possibility of ITV player and 4OD to follow. Access to YouTube channels would be good too and with the Sony I can sign into my YouTube. Maybe even some social media? The Sony has Facebook and Twitter. I would have liked access to Flickr and/or Picassa but you can’t have everything can you? What about access to my NAS (LaCie LaCinema HD) where I store my photos, music and videos – it can do that as well. What about an Android app to manage the box and my network media. Yes it has that as well the Sony Media remote. Although I prefer a combination of the very neat Sony remote control and the much less bloated BubbleUPnP for catch and throw. Everything was going so well. I could view a sequence of my photos from flickr and from my friends on Facebook interspersed with National Geographic photos, the Weather and Clock/ Calendar – see my earlier blog. Then Framehannel withdrew from the market and not only Framechannel but Frameit.livecom as well. However I have discovered another service that although not directly similar to Framechannel would allow me to access a whole load of my social network content on a photo frame. That service is Meechannel.com It’s a Dutch service (use Google Translate in Google Chrome to read it) and is in Beta, but looks very promising. So with this service I could stream my Flickr (or Picasa) photos, the weather and clock/ calendar but not photos from my Facebook or my friends’ Facebook. What I would prefer is to be able to access MeeChannel from my Kodak Easyshare photo frame. It would seem a shame to have to buy another one. 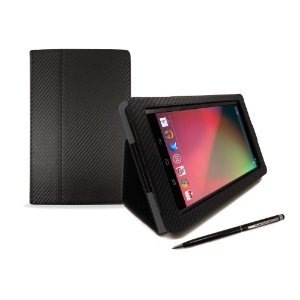 Would you want to spend about £200 on a touch screen photo frame when there rumours that there could soon be a cheap Android tablet on the market. I could then use the tablet as a photo frame when not using it for surfing the web and accessing my emails and social networks. I would need an app that could run a stream of photos. Note that this blog is UK based so the content is directed at services that are accessible from UK or products that can be bought in the UK. There are other photo frames that can access Flickr but they are not available in the UK. The comparison site Top Ten Reviews puts Ceiva Share and Pix-Star FotoConnect at No1 and No 2. Both can access Facebook, Flickr and Picasa but neither can be bought in the UK.